Cloud-hosted BI applications make business data more insightful than ever before. 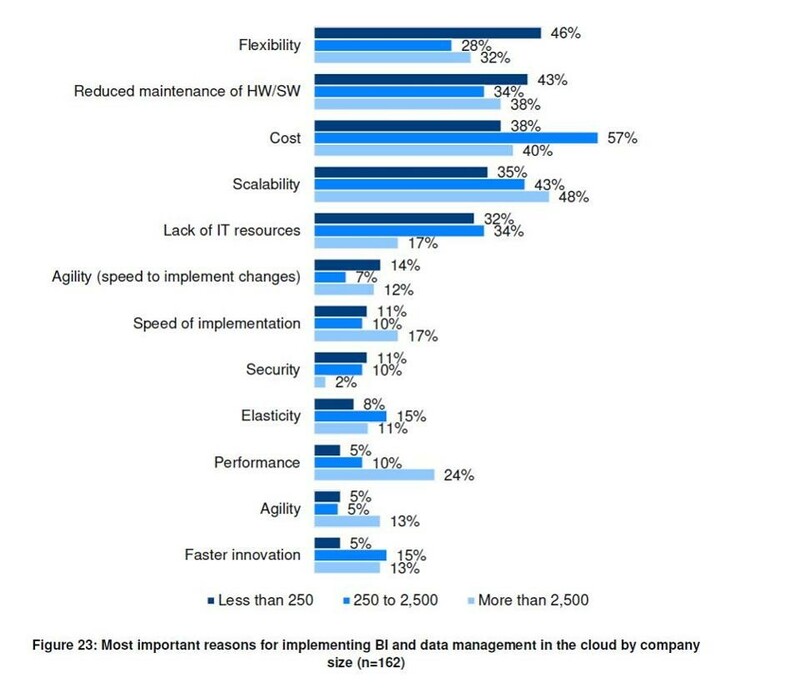 78% of organizations are planning to increase the use of cloud for BI and data management in the next twelve months. Public cloud is the most preferred deployment platform for cloud BI and analytics, and the larger the organization toe more likely they are using private clouds. Vendors of database, data warehouse and big data platforms are rushing to bulk up their cloud services offerings, the same goes for developers of business intelligence and analytics tools. And a growing number of user organizations are signing on to store, manage and analyze data in cloud-based systems. But there’s mixed reaction when it comes to actually doing big data analytics and BI in the cloud. Some businesses are jumping in totally; many others are keeping one or both feet on the ground. Small and medium businesses have hesitated in investing in business analytics or business intelligence since, traditionally, it has been quite expensive in terms of licensing, infrastructure and maintenance costs. But with the rise of cloud BI, the tide has shifted. For the first time, SMBs are able to afford BI software. Imagine being able to look at all your sales data for the year and immediately see clear patterns you could act upon. If you see a dip, you can easily investigate why it is and make a plan to avoid it in the future. Or perhaps you’ll see that a particular salesperson closes deals far more quickly than others – you could then put this person on a training track to groom them for a more impactful role. Business analytics enables businesses to see these and other trends in their businesses so that they can do something about it. Every CEO looks at spreadsheets, but it’s not until you see a trend mapped over time that you can point out abnormalities or leading indicators. 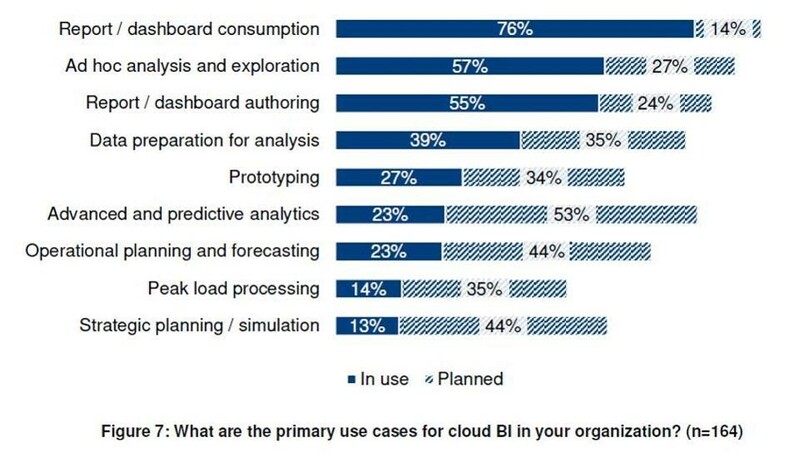 With Cloud BI, it’s now easier for businesses of all sizes to seize opportunities provided by BI tools. Cloud analytics offers a host of advantages to enterprises, however if I had to choose one key value proposition, I’d say it is the swiftness with which cloud analytics can be deployed within an enterprise. IDC has reported that speed to deploy was cited by 76% of cloud users—more than any other factor, including cost. But we see Indian enterprises taking advantage of the flexibility of the cloud, security, ease of sharing with users both inside and outside their organizations. Cloud BI has the potential to become a lynch-pin in the analytic and BI strategies of enterprises, by providing end-users with real-time access to business-critical data.